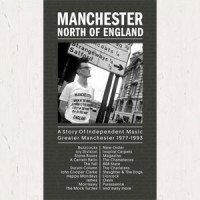 With exhaustive sleeve-notes by the city’s leading music journalist of the era, Mick Middles, and a foreword by Mark Radcliffe, Manchester North Of England includes many of the key bands from the late 70s to the early 90s – Joy Division, The Fall, New Order, James, Happy Mondays, Stone Roses, Morrissey, John Cooper Clarke, 808 State, A Certain Ratio, Durutti Column, The Charlatans and last but not least, Oasis. Although the scene was dominated by blokes with guitars, which is reflected here, Manchester North Of England also doffs its cap to reggae, soul, singer-songwriters, hip-hop, avant garde, techno/industrial and dance music. Inspired by Bop Cassettes’ 1988 compilation (name + cover image), the box set is being presented in conjunction with MDMA (Manchester District Music Archive). Many of the tracks appear on CD for the first time, from the Punk explosion through Factory Records, post-punk, the jangly C86 period, Madchester, Indie-Dance and the early 90s transition into what would become Britpop. 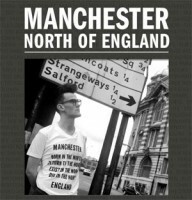 Darryl says: From Buzzcocks to Britpop, Manchester North Of England is the ultimate tribute to the independent output of our most important and iconic of musical cities, with 146 tracks across seven CDs in a deluxe box set. 18. BRICKS - The Diagram Bros.